Denmark Vesey plotted a slave rebellion in Charlston, South Carolina in 1822 which was unsuccessful but important. 131 men were charged and 35 hanged in the conspiricy to kill their plantation owners. This caused panic among the whites. 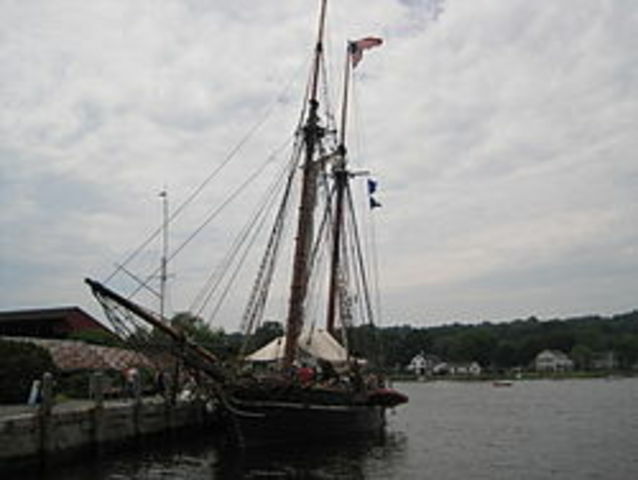 The Venezuelen Slave ship The Antelope was seized carrying 281 Africans. After the ship was under US control the issue went to the supreme court. the Court ruled that some of the Africans were free and were to be sent back to Africa but 39 were ruled property of Spain . The Antelope and the 39 slaves were returned to Spain, Venezuela, and Portugal. William Lloyd Garison writess "The Liberator"
Nat Turners rebellion (Southampton Insurrection) was a slave uprising in Virginia in 1831. Slaves killed anywhere between 55 and 65 white men and women. 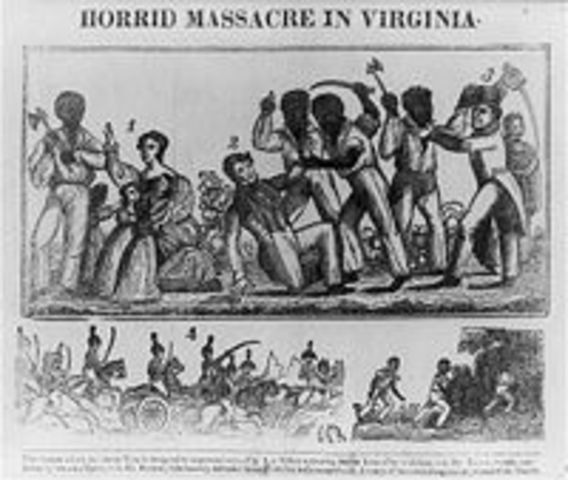 About 56 slaves were executed by the state of Virginia and anywhere from 100 to 200 were killed by white militias. 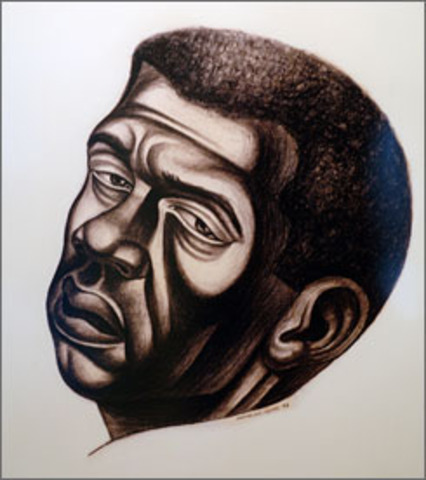 This slave revolt led to laws prohibiting slaves to learn to read and write or to gather at assemblies such as church without a white Priest at the mass. 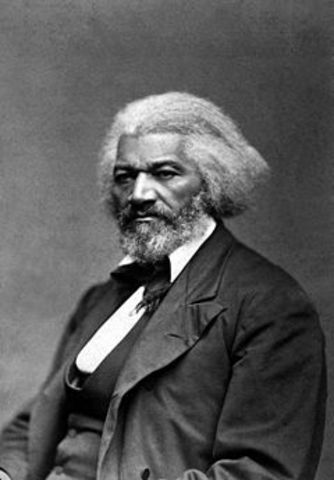 Fredrick Douglass escaped from slavery to become a famous writer and speaker about slavery. His most famous book is the Narrative "In the Life of Frederick Douglass" which was heavily used in the abolition movement against slavery. 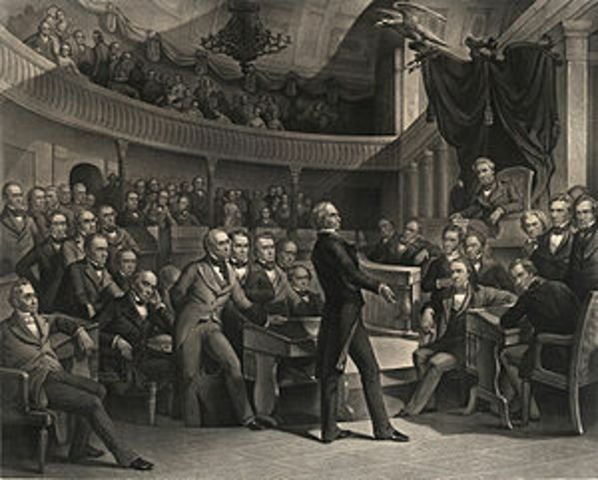 Convention held in London was originally an anti-slavery convention in 1840. When Lucretta Mott and Elizabeth Cady Stanton showed up to the anti-slavery campaign, they were refused seating because they were women. This called for people to not only look at slave rights but Womens rights also. 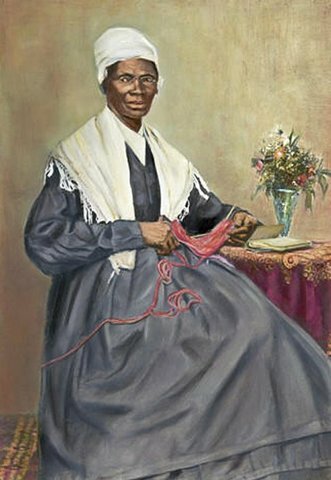 Isabella Baumfree a slave, changes her name to Sojourner Truth. She was born into slavery in Esopus, New York in 1797. Soujourner starts to speak out about slavery and womens rights, she is most famous for her speach "Aint I a woman" in 1851. 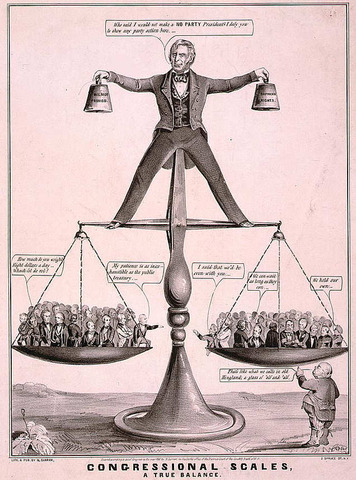 <a href='http://http://www.johnhorse.com/trail/04/b/07zz.htm' >Cartoon Scale"The Wilmot Proviso, one of the major events leading to the Civil War, would have banned slavery in any territory to be acquired from Mexico in the Mexican War or in the future, including the area later known as the Mexican Cession"-http://en.wikipedia.org/wiki/Wilmot_Proviso#Notes This was an attempt to end negotiation about slavery spreading, it passed in congress but failed in the senate. Slavery was not negotiated until the "Comprimise of 1850"
Elizabeth Cady Stanton and Lucretia Mott arrange the first Womens Rights convention in July 1848. Lucretia was said to be a "Feminist Abolitionist". 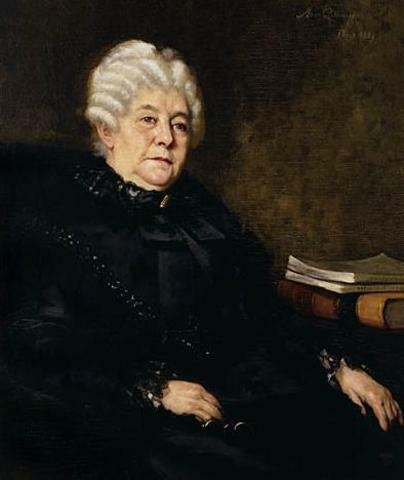 Her efforts called for people to think about the rights of not only slaves but the rights of women. 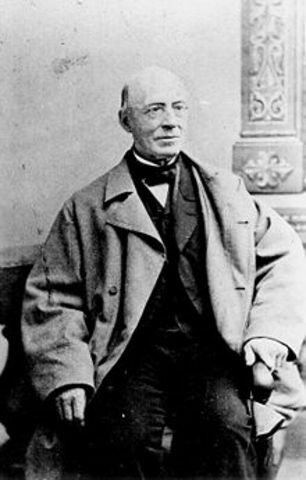 Stanton was involed in womens rights, abolition, women's custody rights, and Temperance. Lucretia Mott and Elizabeth Cady Stanton were said to be among the most influential women in the abolition omvement. Harriet Tubman escapes slavery to become the "Conductor" of The Underground Railroad, a comple system to help slaves make their way north of the Mason-Dixon line. 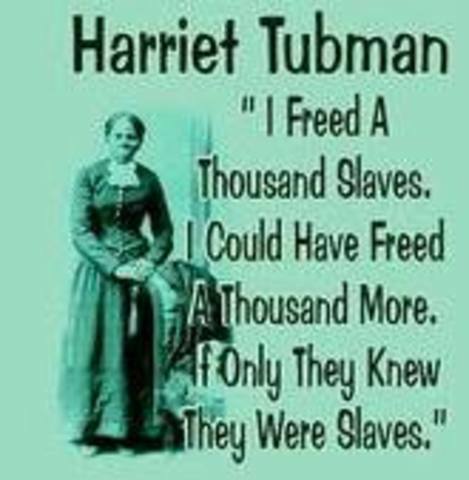 Harriet tubman helped about 350 slaves escape slavery. Roberts v. Boston tries to end discrimination in schools in Boston Massachussets. Ruled that racial Segregation was legal under the constitution. Admitted California as a Free state. Everything that was to be gained from Mexio was to be declared free. 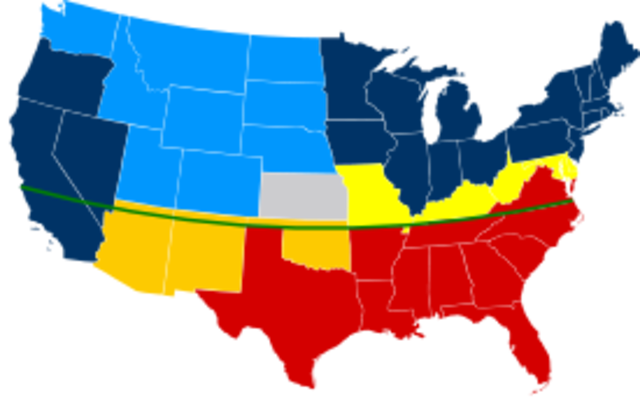 Fugitive Slave Law was a part of the comprimise of 1850. 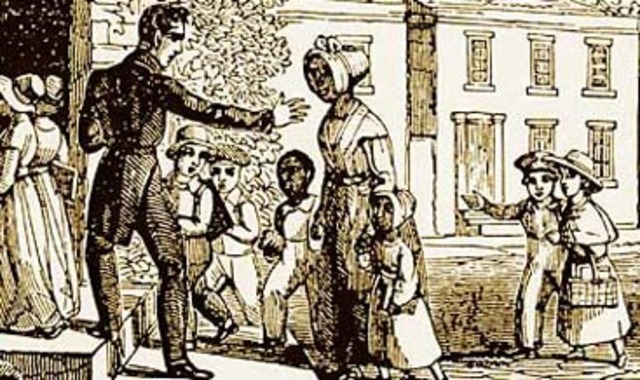 Under the fugitive Slave law everybody who comes in contact with a slave is immediately deputized and must turn the slave in to the authorities or the will have to pay a fine or go to jail. 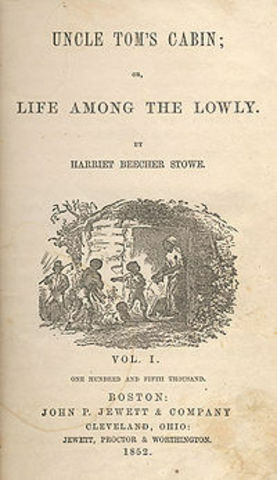 Harriet Beecher Stowe wrote "Uncle Tom's Cabin" in 1852. This book was an account to slavery. It made a huge impact in society because this was one of the first widely know books written by a women. It was used in the abolition movement and the book soon became a household name.